What is a virtual credit card API? A virtual credit card application programming interface is a specific type of API that allows you to generate virtual credit cards for your employees to use in a programmatic way rather than having to repeatedly click on buttons. 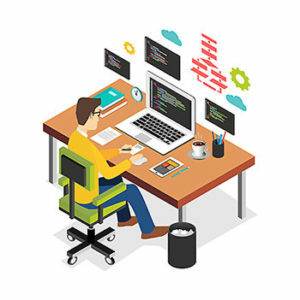 An API tells different parts of a program how to interact with one another to produce what you see on a website or are able to use to create other things. A virtual credit card API is generic, allowing you to use it to create code that will integrate with your proprietary applications. The Federal Reserve reports that virtual cards generated increasing traction from 2012 to 2015. Businesses made 21 percent of their payments of $2,500 to $10,000 using virtual cards that were generated after the receipt of invoices for the invoiced amounts. How does a virtual credit card API work? A virtual credit card API can be integrated with your existing applications easily by a developer. You can then use it to generate as many virtual credit card numbers as you need. You can also set limits on the cards that you generate and track the spending that occurs with each one easily without having to log into a dashboard. Virtual credit card numbers are associated with your existing business credit card but can only be used one time. Once they are used, they will not work again. Thieves who intercept the numbers online will not be able to link them back to your business or to your account, helping to give you an additional layer of security. Who uses virtual credit card APIs? Virtual credit card APIs are used by businesses of all sizes. They allow a convenient way to generate virtual credit cards at the time that they are needed and can generate multiple numbers without repetitive data entry. While virtual cards remain more popular among consumers, more businesses are catching onto them. Businesses are slowly replacing commercial checks in favor of virtual credit cards to protect themselves from fraud when they are making payments. Virtual credit card APIs allow them to generate virtual card numbers at the time that they are needed. Where can I get a virtual credit card API? Several banking institutions and card issuers offer virtual credit cards as a service to their existing customers. 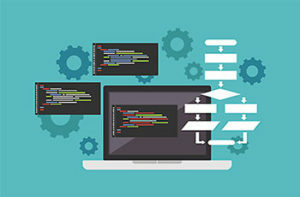 Fewer offer virtual credit card APIs that their customers can access so that they can write code to connect to the application programming interface within their applications. To find a company that offers virtual credit card APIs to businesses, you should conduct research online. You will want to pay attention to the reputation of the companies that have the service available and whether the APIs are able to integrate with your other applications easily. How secure is a virtual credit card API? Virtual credit card APIs give you more security. 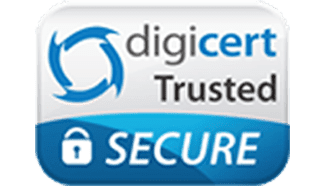 The accounts and APIs are protected by a 256-bit SSL encryption technology. This is the same highly secure type of technology that major banks use to protect your data and financial information. Using virtual card numbers that you generate with your virtual credit card API is also safer than using your existing credit card. You can generate a new number instantly and use it in less than a minute, leaving little time for thieves to steal it and use it before it expires. Why are virtual credit card APIs useful? Virtual credit card APIs are useful for businesses that conduct many transactions throughout the day and that need a secure payment method. With a card API, you can create as many card numbers as you need instantly instead of having to click buttons over and over again on an interface. You can also use virtual credit card APIs to perform all of the functions that you might enjoy on your interactive platform. Accessing these functions with your API can allow you to approach them in a programmatic manner. A virtual card API does more than simply generate virtual cards. You can also use it to update billing addresses, track expenses, automate the categorization of expenses, and place spending limits and restrictions on the card numbers. A virtual debit card API can be used to generate numbers that are linked to your existing deposit account but that can’t be traced back to it. Like a credit card API, a virtual debit card API gives you greater security when you use your debit card to make purchases online or over the phone. How long do virtual cards last? Most virtual cards are created for one use only. This is to help you to prevent fraud. When the number is charged by the payee, the purchase will be routed through to your underlying credit card and added to its balance if you have used a credit card API. If you have used a virtual debit card API to create the number, the payment request will be sent to your bank, and the amount will be deducted from the balance. After the purchase is complete, the number will not work again. You can also limit the number to the specific amount of the purchase price of the item that you intend to use it for payment. Using virtual cards reduces the risk of fraud whether you use a virtual debit card API to generate the numbers or a credit card API. Since the numbers simply represent your original credit card or bank account but cannot be traced back, they prevent thieves from making transactions using your accounts. Thieves are also unable to use the numbers to obtain identifying information about you. The numbers do not store identifying information about your business that can be stolen by thieves, helping to protect you and your business from identity theft. Virtual cards are one-use numbers that don’t work after single purchases. Another type of card that can be created with a virtual card API is a ghost card. These cards are scalable and are generally used by larger companies. Ghost cards are virtual numbers that large companies may assign to departments within their organizations. 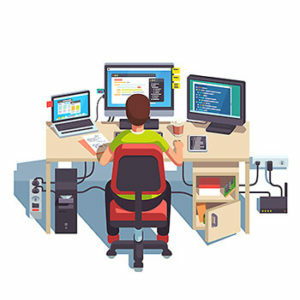 The employees may use the ghost cards of their departments to make purchases for the business, and the business can then track all of the purchases by the individual departments. Ghost cards may also be assigned to high-volume suppliers to pay all of their invoices. Procurement cards are another type of virtual card that may be generated with a virtual debit card API. These are cards that you can give to a specific group of your employees to use to make several purchases over a set time period. Once the time that you choose is over, the cards will expire. Procurement cards are useful for purchasing items that are needed for the company without having to go through the traditional requisition and approval process. Procurement cards are both similar to and different from virtual cards. Procurement cards may either be plastic or virtual. Plastic procurement cards can be given to employees to make purchases in person. Virtual cards are not plastic and are used for single purchases. Procurement cards may be used over time to make purchases and may be turned off or on using your controls. You can decide when your procurement cards can be used and when to turn them off, and you are able to turn them off remotely through your API. 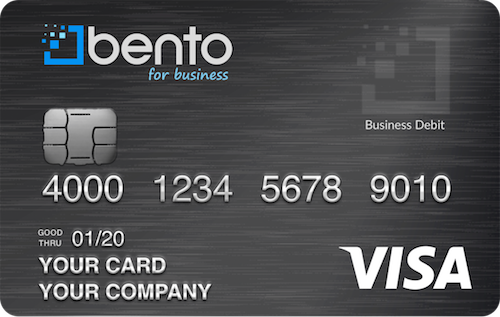 All of the card solutions from Bento for Business come with extensive controls. You can control where your employees can use the cards and limit the amount that can be spent with them. You can also turn cards off or on whenever you choose. For example, if your office manager receives an invoice for your new photocopier, she can use a virtual card that you generate in the amount of the purchase price. If the copier costs $2,000, you can instantly generate a card for $2,000 to pay the invoice. If your office manager tries to use the number after the purchase for something else, it won’t work. Bento for Business is a recognized leader in the business Visa debit card industry, and its virtual debit card API allows you to create the types of virtual cards that you need for your business. 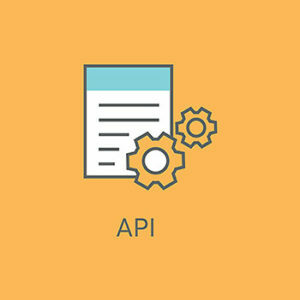 The API integrates easily with your proprietary applications and can be running within your organization in as little as one day. Deposits that you make with Bento to fund your cards are insured by the FDIC for up to $250,000 through the Bancorp Bank; Member FDIC. Bento has packages available to fit the needs of businesses of all sizes, and you can receive 10 cards for as little as $29 per month. To learn more, call 866.220.8455.